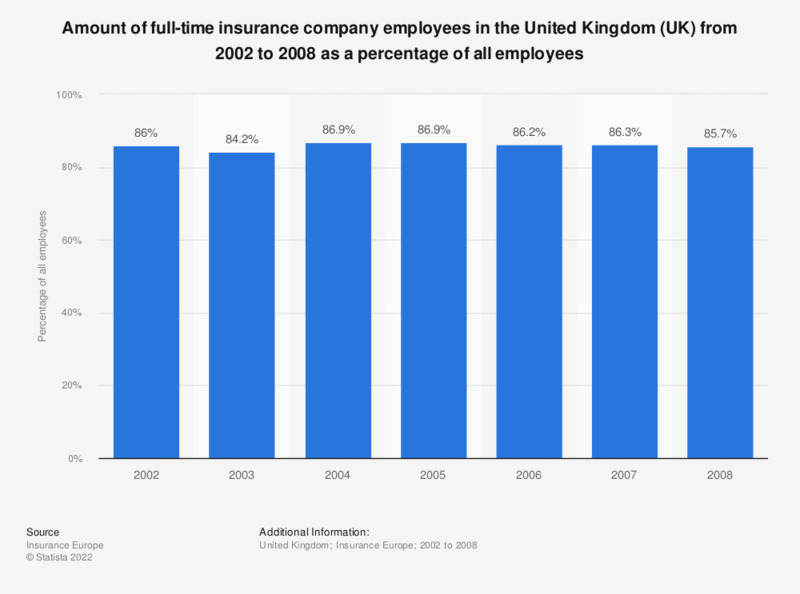 This statistic shows the amount of full-time insurance company employees in the United Kingdom (UK) from 2002 to 2008 as a percentage of all employees. Over this time period, the percentage of full-time employees remained quite stable. The largest year on year change was from 2002 to 2003, a decrease of 1.8 percent.